Communications for development. Director, Marchmont. Coordinator, Farming First. On the drive to Endau, I saw signs of change. Wooden poles flanked the road waiting to be installed to bring electrification. Vast tracts of land, only sparsely populated, were waiting to be planted. A World War II era bridge was in the process of being repaired. I was visiting this area in order to see the progress of a new project being run by the Pan African Agribusiness & Agro-Industry Coalition (PanAAC), an African not-for-profit organisation which seeks to strengthen rural African value chains as a means of fighting poverty and hunger. 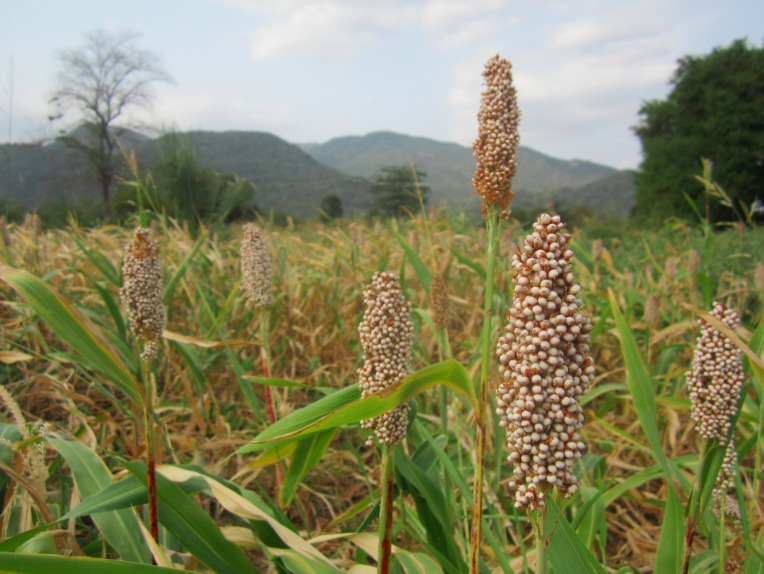 PanAAC has been working with local smallholder farmers to shift from growing maize to growing sorghum as the latter crop grows well in semi-arid areas like Endau because of its tolerance to drought and heat. Sorghum had been the traditional staple crop in the area until farmers began to shift to maize (a phenomenon occurring in many parts of Africa as sorghum was considered a "poor man's crop"). Sorghum production reached an all time low in 2008, with just 60,000 tonnes produced, compared to 200,000 tonnes in the 1970s. Nonetheless, it is still the world's fifth most important cereal crop and provides a good source of carbohydrates and protein, as well as vitamins and minerals such as iron and potassium. Once we arrived in the village the reason for championing sorghum was clear: the maize crops we saw had dried up and failed to produce ears, whilst the sorghum in neighbouring fields seemed to be flourishing. PanAAC has also introduced several other innovations to equip sorghum farmers. These include inexpensive, bespoke machinery for threshing to replace traditional threshing practices which could damage the crops and leave them vulnerable to a poisonous fungus called aflotoxin. They were also working on a land cadastre programme which helped to detail individual ownership of land with the help of GPS mapping software. The first farmer we met had planted about five acres of sorghum - about half her land. 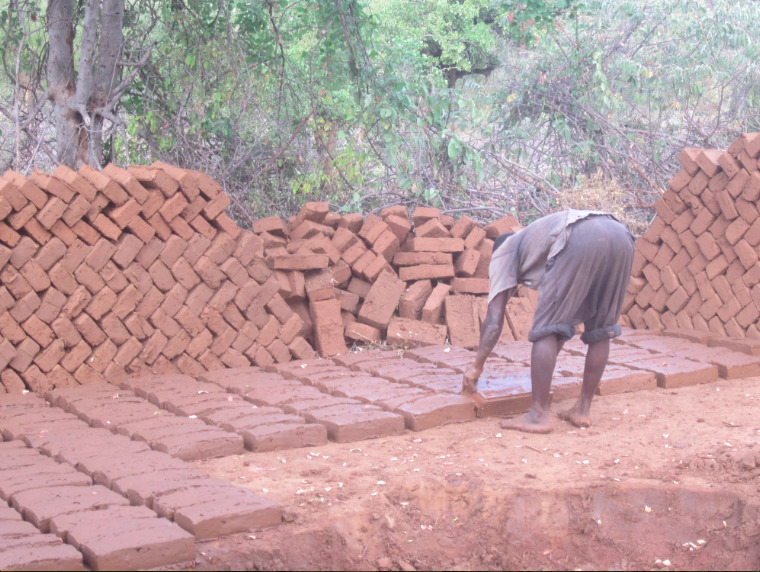 The profits she made helped her to build a brick and stucco house. She had also recently launched a small brick-making facility to earn additional income whilst creating employment for others. In addition to the farming support for sorghum, another major factor in its success was the fact that it now had a guaranteed market due to an agreement PanAAc negotiated with a local brewing company called East African Breweries Limited, which uses the sorghum to brew its popular Senator Keg Beer (named, incidentally, around the same time the then Senator Barack Obama visited the region back in 2004). The brewery was happy to get a local source for its raw ingredients while farmers were able to get as much as four times the price for their harvest as a result. Later on in the visit, I met a local man named Jeremiah Kioko, who had switched to growing sorghum on his two acres of land the previous year. 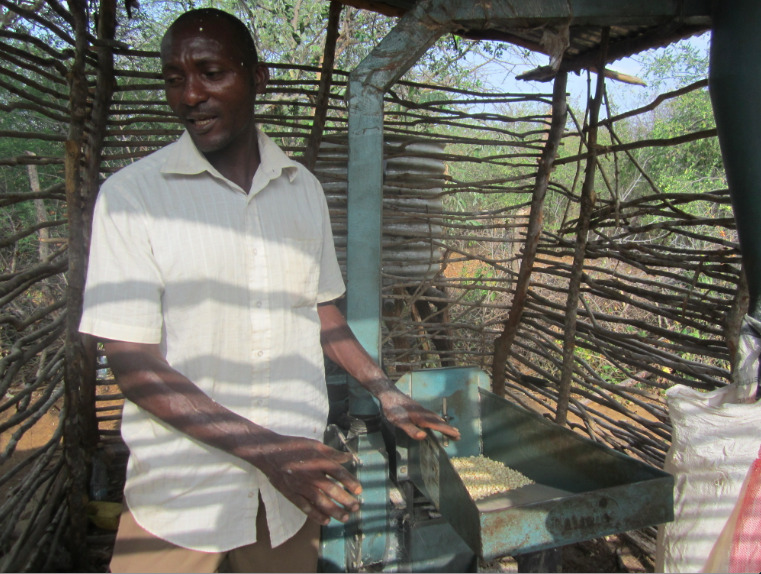 The extra profits he made in one year helped him to afford the down payment for a simple milling machine, which cost him 135,000 Kenyan shillings (equivalent to around 1,000 GBP or 1,500 USD). He now charges his fellow villagers 10 Kenyan shillings per kilogram of cereal that he helps them mill into flour. Kioko said he could manage up to 1000 kilograms per day, more than enough for him to pay off the machine within the next year. So What's in a Value Chain? A value chain charts the transition of a product from producer to consumer through a number of stages each of which adds value along the way. These have been defined as: Research & Development, in which improved seeds, fertilisers and tools are developed, Input Distribution and Adoption, in which the aforementioned products are sold to farmers to increase their yields, Farming in which farmers grow the crops intended for market, Sourcing and Trading in which farmers sell their stock in a variety of ways, Processing and Manufacturing, in which raw products are either processed or manufactured into a final product, and finally Retail and Export that sees finished products sold to companies or directly to consumers. All across rural Africa, it seems an agricultural revolution is surfacing, in which these value chains are being strengthened - to great effect. My visit to Endau was not the only sign of this shift. I also visited farmers in western Kenya whose yields were doubling thanks to the support of One Acre Fund. I visited Uganda's leading seed house, Victoria Seeds, founded by a female entrepreneur in 2004 and employing at least 70% women to produce and distribute its 90 plus seed varieties to farmers. Near Masindi, Uganda, I met with a group of Community Knowledge Workers, who are farmers trained by the Grameen Foundation designated to use mobile phones to deliver agronomic advice to fellow smallholders. All of these programmes are also helping to build the institutional fabric of these local communities - bringing them together to share information, expertise and resources. I met many farmers who spoke as much about the camaraderie they now shared with each other as they did about their improved harvests and higher incomes. The importance of this new 'public sphere' - a term which the scholar Jurgen Habermas described as an inclusive environment offering a free space for people to debate and share information - applies as vividly to these farmers as it did to the 17th century merchants exchanging market information in London's early coffee houses. The tale of hope in Endau can become a blueprint for Kenya, and the African continent. When equipped with the resources, knowledge and market access, African farmers can build vibrant communities and economies enough to make poverty and hunger a story of the past.